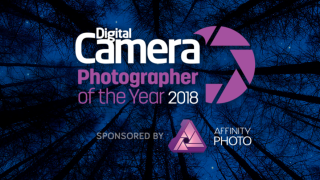 We’re very pleased to announce that we are launching our very own Digital Camera Photographer of the Year competition! With thousands of pounds worth of great prizes up for grabs and many different categories to suit a range of styles and subjects, there’s little excuse not to get involved with your proudest captures. Whether it’s a perfectly timed street shot, some dramatic black-and-white scenery, something you found on your travels or even just a macro shot taken in your back garden, we’re giving you the chance to win big! And supporting us here is Affinity Photo. Not only is its developer, Serif, generously gifting the overall winner with an Apple 64GB 12.9in iPad Pro & Apple Pencil, but also a copy of its Affinity Photo software worth £48.99! Not only that, but each category’s Judges’ winner gets a copy of Affinity Photo software and an Affinity Photo Workbook, in addition to Fujfiim Instax SQ10! There are eight different categories to enter, spread across a range of genres. At any one time two will be open at once, so don’t fret if you still want to capture something specifically for your chosen categories – you’ll have a chance! • Mono Magic - OPEN NOW! Show us your best black-and-white images. Any subject you like, as long as it’s mono. • On the Road - OPEN NOW! Travel photography that reveals a sense of adventure is what we’re after here. This is the wildlife category. And just to clarify, we don’t mean your family pet! Grab your macro lens and explore miniature marvels in the world around you. Portraits with personality and originality are the name of the game here. Our smartphone photography category puts your skills as a photographer first. Your landscape shots – urban, coastal or wild – should capture a sense of place. Street photography that packs a punch, no matter what you focus on, is key here. Affinity Photo redefines the boundaries for professional photo editing software on Mac, Windows and iPad. With a meticulous focus on workflow, it offers sophisticated tools for enhancing, editing and retouching your images in an incredibly intuitive interface. Each category’s Judges’ winner gets a Fujifilm Instax SQ10, a copy of Affinity Photo software and Affinity Photo Workbook! Each category’s Crowd Vote winner gets a one-year Digital Camera magazine subscription. Visit the competition website for full details on how to enter. Entries cost £1 to £3 per image. All photographs entered must be your own work and must not infringe on anyone else’s copyright. You may enter a maximum of six photos in each category of this competition. Camera, published by Future plc. The judges’ say is final. The competition runs between 12 October 2017 to 12 February 2018.